It has been quiet around the blog lately, but for a very good reason. 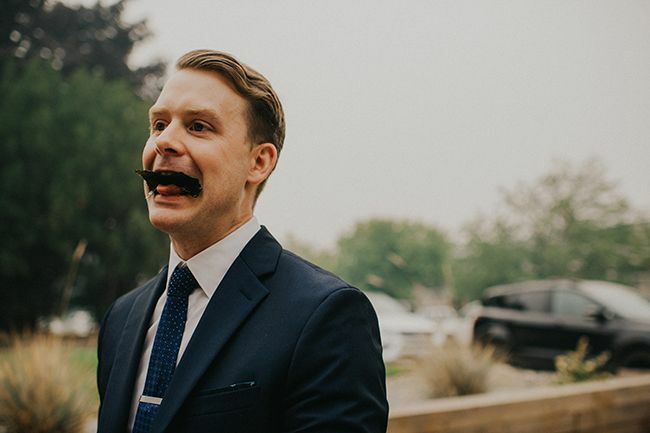 Today's post is a very personal one - the first of two posts about our dreamy (read: very smoky) wedding day in the Okanagan. Gordon and I met on our very first day of nursing school back in 2012, and after 5.5 years of dating we chose to tie the knot in Kelowna, a city we find ourselves returning to year after year. 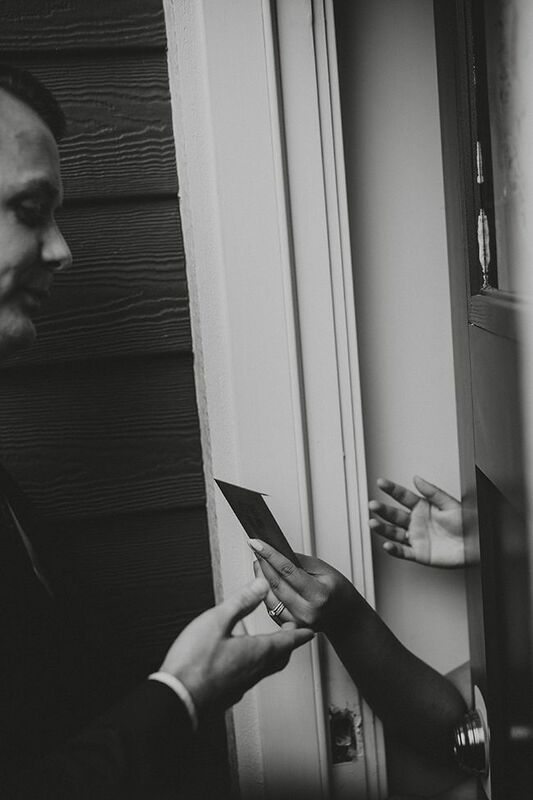 A majority of each of our family members live outside of Edmonton, so most of our guests would have to travel to celebrate with us. Seeing as we love the scenery, weather, and cuisine in Kelowna, it seemed like the right place to bring everyone together to celebrate the start of the next chapter in our lives. 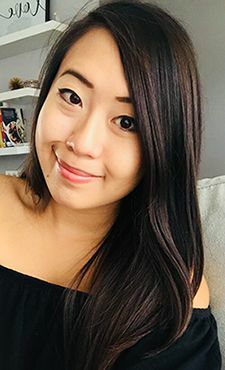 The day started bright and early for myself and my bridesmaids, with hair and makeup kicking off at 5:00 AM. We were all quite tired that morning but in good spirits given the excitement of the big day. I had planned for everyone to be ready for 10:00 and I thought that 5 hours to get ready was excessive. Boy, was I wrong! Luckily with the expertise of Kris and her team at Inspirado Designs, all the girls looked absolutely stunning and I was only slightly stressed being behind schedule when I finished getting dressed at 10:45. 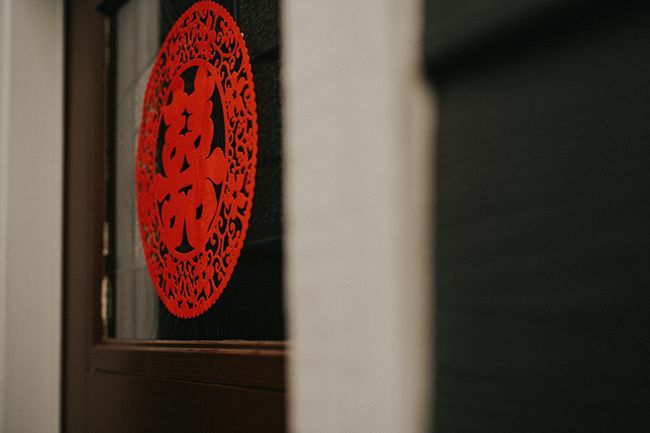 Being born and raised in a Chinese family I wanted to pay homage to my heritage and incorporate wedding traditions that made sense for Gordon and me. 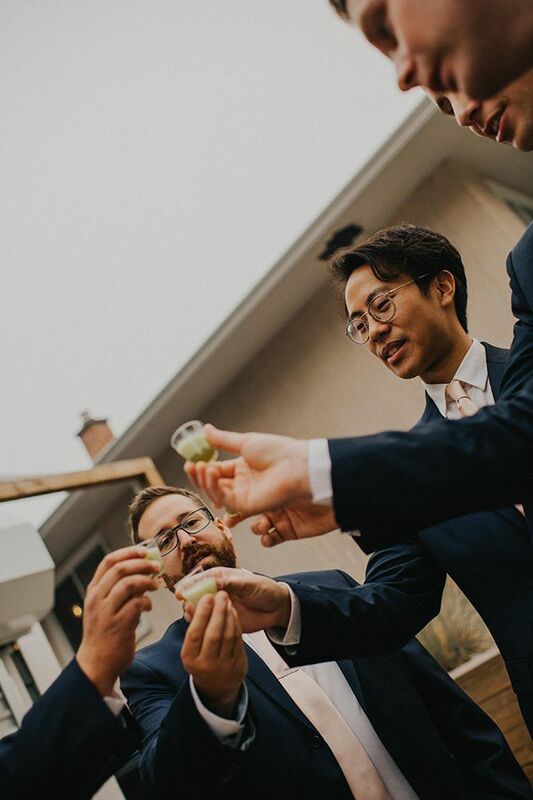 We chose to host a Chinese Tea Ceremony on the morning of the wedding to honour our families, but not before the Gordon and his groomsmen made it through some challenging door games. In Chinese tradition the bride is hidden away from the groom on the morning of the wedding and protected by the bridesmaids. 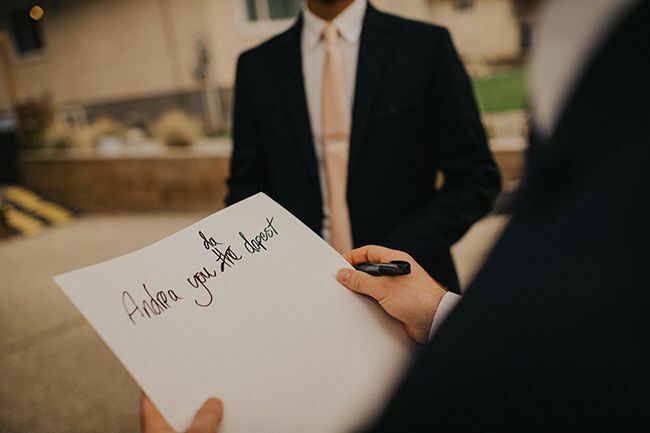 Together with his entourage, the groom must arrive where the bride is staying and bribe, pay, or negotiate his way to get through the bridesmaids and claim his bride. 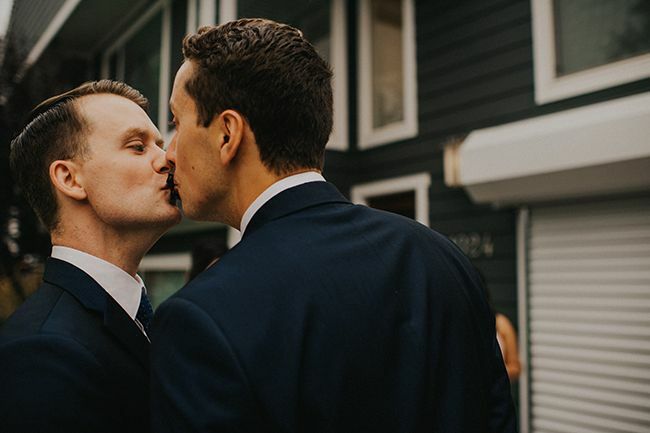 In conjunction with paying off the bridesmaids, the groom and groomsmen are challenged with games that have the goal of embarrassing them. It's a fun and lighthearted tradition that we couldn't leave out of our wedding day. 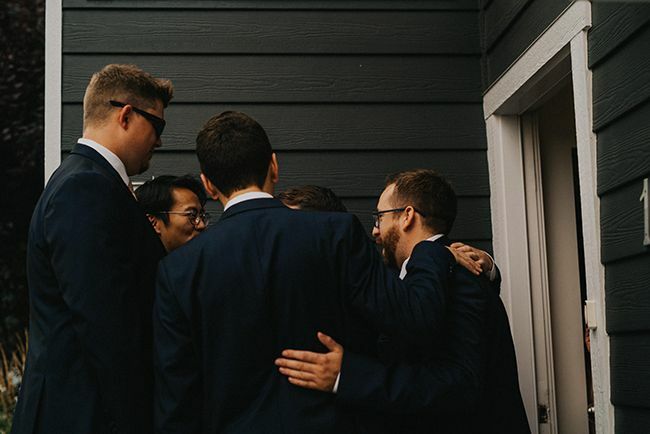 Gordon and his groomsmen attempted to pay their way through with red pockets, but according to my bridesmaids they were so stingy and claimed they had no more money. But in their defence, they did pick out some very thoughtful gifts for each of the bridesmaids, so the girls let it slide. 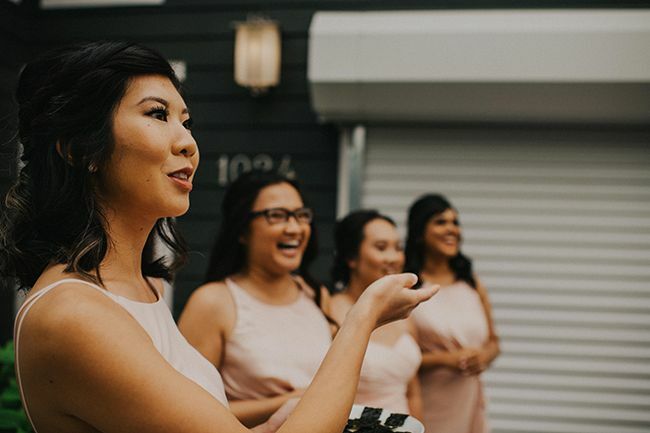 I didn't have a chance to see a majority of the door games as I was busy getting my final touch ups, but from the sounds and photos my bridesmaids did a fantastic job challenging the boys. The first task faced by the boys was a game testing their boundaries and personal space - passing a sheet of roasted seaweed from one another using only their lips. A total of five sheets - one for each of them - were passed down, and they passed pretty quickly! But I was pretty grossed out when I learned that Gordon ate every single sheet of seaweed because he "didn't want them to go to waste." It is said that a marriage can go through four flavours: sweet, sour, bitter, and spicy. So next up was a game to test their stomachs and taste buds that was all based on whether Gordon could answer questions about my family correctly. 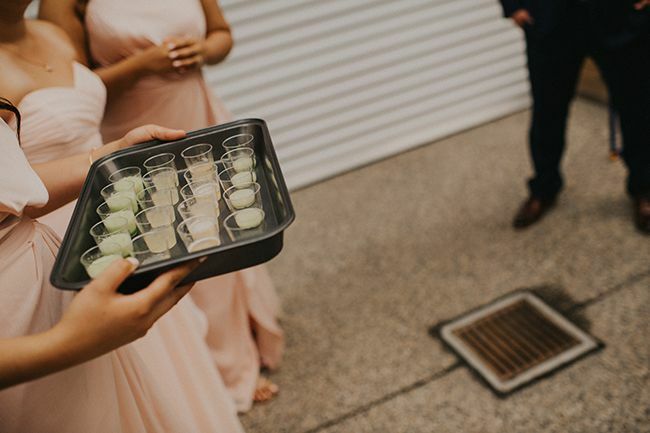 Unfortunately he got them all wrong as they were meant to be quite difficult, so the boys all took shots of each flavour made with honey, lemon, bitter melon, and wasabi. Anyone who knows Gordon knows that he lives and breathes hockey. I often joke that he loves hockey more than me as he spends many nights a week after work inside an arena coaching hockey while I'm at home spending time on my own. 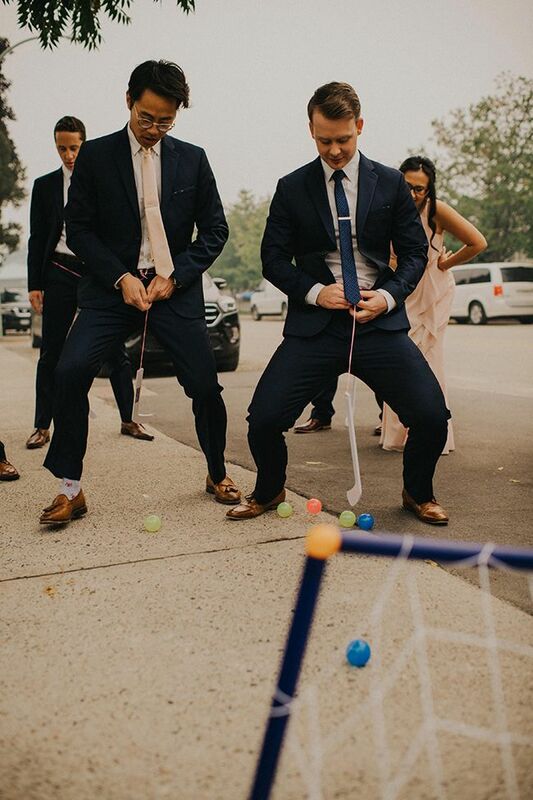 So, my bridesmaids put him and his groomsmen's slapshot skills to the test! The final task the boys faced was to sing me a sweet serenade. At this point I was just about ready and listening from the window at the front of the house. The first attempt looked pretty promising, as shown in their draft above, but it wasn't good enough to win their way into the house. The second attempt, however, was a winner. 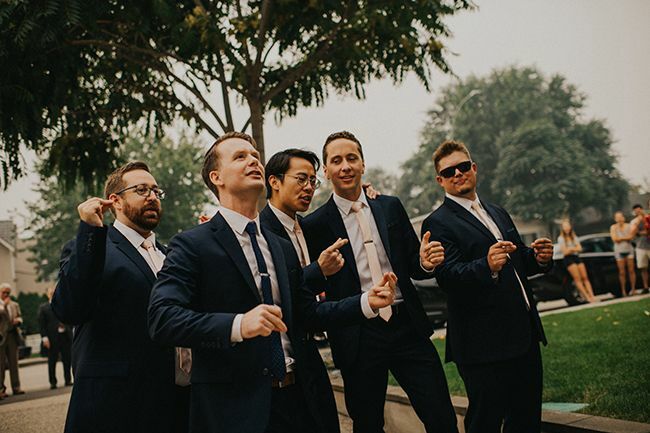 Sang to the tune of T-Pain's 'Buy You a Drank', I was in hysterics as Gordon rapped and his groomsmen snapped their fingers to the beat. I can't recall all the words, but I definitely remember Gordon referring to himself as "G-Pain." The serenade was impressive, and Gordon was granted entrance into the house to find me. As the door games came to an end most of our guests had arrived for the tea ceremony. 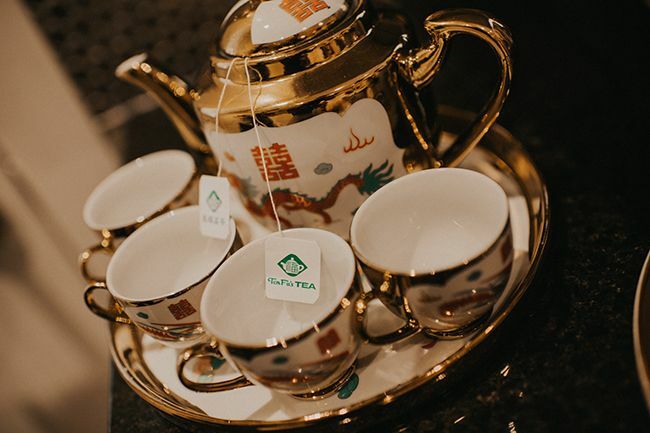 In Chinese tradition the tea ceremony is a way to present the bride to the groom's family, but the intention of our ceremony was for us to show our respect to our elders on both sides of the family. In a traditional tea ceremony the bride wears a two piece dress known as a 'kwa.' 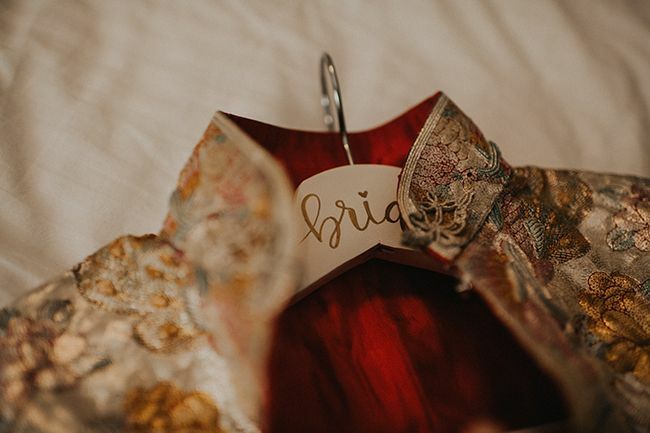 The dress is red in colour and embroidered with phoenixes and dragons, which symbolize harmony in a marriage according to traditional feng shui. My dress was a beautiful family heirloom, stunning with its hand embroidered gold and silver threads. It was originally worn by my grandmother and passed through my father's sisters, then worn by my mother. 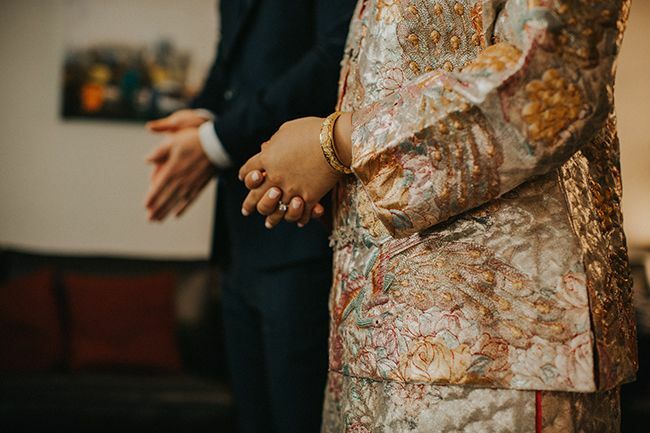 It was so special for me to be able to wear it on my wedding day. 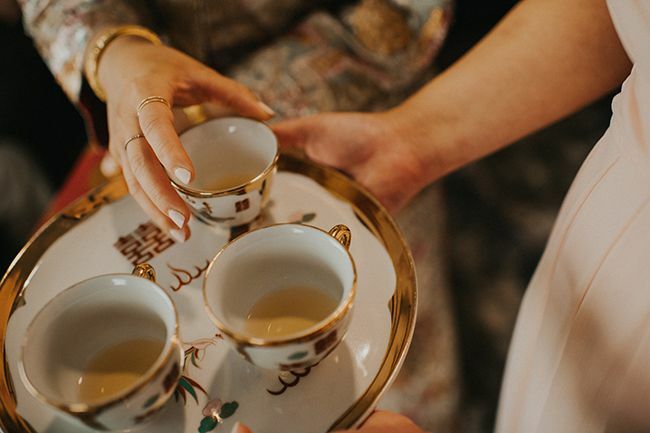 During the ceremony, the bride and groom kneel or bend down to present cups of tea to their grandparents, followed by their parents, then to the remaining family members in order of seniority. The elders sip the tea, share blessings and provide gifts of red pockets filled with money or jewelry to the married couple. It was quite an emotional moment for me to serve tea to my 91 year old grandmother, as she travelled all the way from Hong Kong to take part in our wedding. And don`t get me started about my parents! But it's special moments like these that I will cherish from our wedding day. 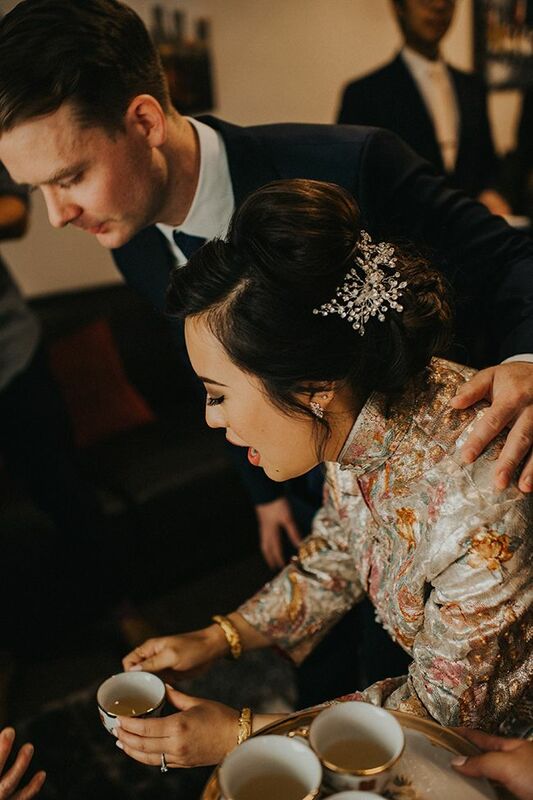 It meant a lot to Gordon and me to be able to incorporate such important Chinese traditions into our big day, and I wouldn't change a thing.